History of Shanban Bay Shanban Bay formerly known as “Sampans Bay” where ancestors used to sail sampan and catch flying fish. This bay has stunning scenery, coral reefs, rocks, golden sandy beaches, eco-rich tidal zone as well as Wild Trench. 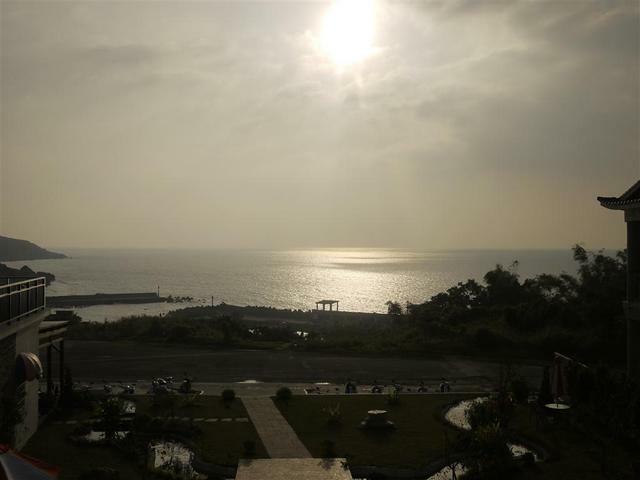 Shanban Bay is also well-known by its dazzling sunset. In 1947, because of the implementation of local self-government, the Sampans Bay incorporated into Sanfu Village and renamed “Shanban Bay”. Shanban Bay locates at southwest of island where is the main routes of Kaohsiung international port to Pacific Ocean. There are oil tankers, container round, and the bulk vessels round by the waters daily. It is the beautiful scenery that the sailing vessels on a background picturesque sunset. Seaside locations usually look much nicer when the tide is low. Xiao Liuqiu has no seasonal winds except for typhoon invasion. When the moon is full, it will just be rising in front of Shanban Bay. Beautiful and bright full moon reflects on a calm ocean in the evening. Xiao Liuqiu is known as the birthplace of big wave. When the typhoon has passed through Philippines into South China Sea or Dongsha Island Seas, it does not threaten the Xiao Liuqiu island. However, the typhoon brings strong disturbance that moved toward to the coast of island. Strong winds in a tropical storm over the ocean produces high seas with substantial amount of spray. Ferocious waves can be an exhilarating experience.